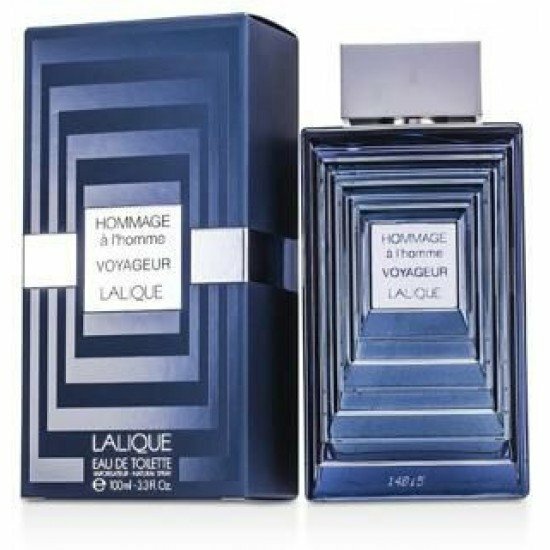 Lalique also presents a new masculine fragrance, Hommage à l'Homme Voyageur. Lalique Hommage à l'homme Voyageur, inspired by travel, is as dark as the blue waves of the Atlantic at night. It is a blend of bergamot and cardamom in the top, vetiver, patchouli and papyrus in the heart and vanilla, amber and moss at the base. Lalique Le Parfum by Lalique is a Oriental fragrance for women. Lalique Le Parfum was launched in 2005. The nose behind this fragrance is Dominique Ro..
Lalique presents limited edition of Lalique de Lalique 20th Anniversary Limited Edition in 2012 to celebrate 20th anniversary of the house. The origin..
Encre Noire by Lalique is a Woody Aromatic fragrance for men. Encre Noire was launched in 2006. The nose behind this fragrance is Nathalie Lorson. Top..
Lalique White by Lalique is a Citrus Aromatic fragrance for men. Lalique White was launched in 2008. The nose behind this fragrance is Christine Nagel..
Lalique was presented in 1992 in collaboration with Sophia Grojsman. Perfume Lalique greets you with the notes of Chinese gardenia, Sicilian mandarin .. Creator of this edition is Christine Nagel, who presents scents of vetiver forest, shrubs and greenery surrounded with carefully chosen floral essence..
L'Amour by Lalique is a Floral Woody Musk fragrance for women. L'Amour was launched in 2013. The nose behind this fragrance is Nathalie Lorson. Top no.. This perfume was presented in 2007. It was created by Nathalie Lorson of Firmenich, who enriched the top notes with nutmeg, blackberry and currant. Th..